Joseph J Clements, DC established Advanced Chiropractic Associates, P.A. which trades as Advanced Physical Therapy and Chiropractic in 1989. With the growing need for Chiropractic care in the area he made Atco his home after graduating from Life Chiropractic College. 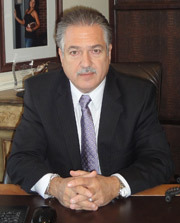 He has served on the South Jersey Board of Chiropractic. In 1998 he added physical therapy to his staff so patients would benefit from both chiropractic care and physical therapy. Dr. Joe now administrates the practice. Robert M Reich, DC graduated from University of Pennsylvania in 1979 with a Bachelor of Science in Physical Therapy degree. He was a standout on the University of Pennsylvania football team. In 1978 he played for the Philadelphia Eagles. In 1998 he was selected to the Hall of Fame at Oakcrest High School. In 1993 he graduated as Valedictorian from Life University (Marietta, Ga.) with a Doctor of Chiropractic degree. 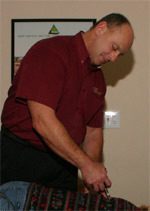 Dr. Bob has been with Advanced Chiropractic since 1997 and is Director of Chiropractic in Hammonton. Dawn Stone, MPT graduated from Philadelphia College of Pharmacy and Science, with a degree in Physical Therapy. 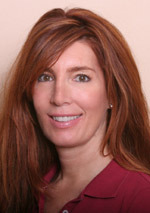 Her clinical experience is in outpatient orthopedic, sports medicine, geriatric care and acute care. Dawn heads our Geriatric Department. Call Advanced Chiropractic Associates to make an appointment and see what sets us apart from other Atco chiropractors & Physical Therapists!